The Cotton Cordell Red-Fin Lure works well with being twitched on top. It can run erratically with a twitch-twitch-pause retrieve action. 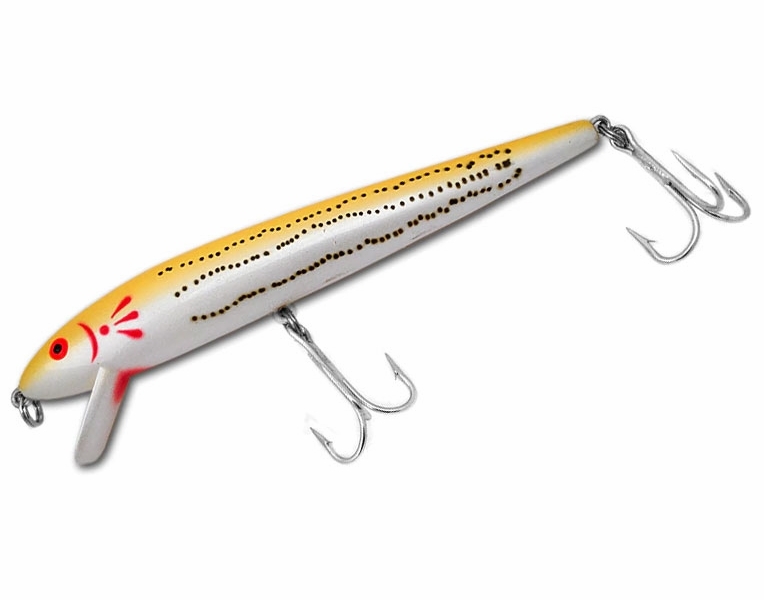 This wake bait wobbles on a straight retrieve. 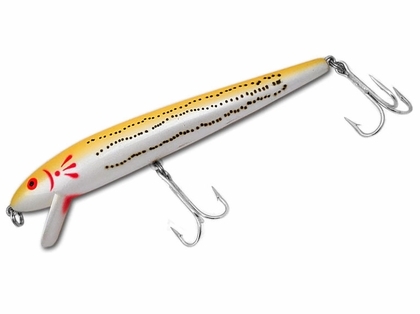 This lure is made with top of the line construction and components. Works well when retrieved slowly on the top water to provoke strikes from bass as well as big stripers. Perfect for targeting bass, striper, and redfish species. This lure is deadly when loaded with BBs or water. It will cast better. It is very effective at a slow retrieve. These plugs catch fish. They do not cast well, so they are usually loaded with something i.e. water / BBs. ConsDo not cast well unless loaded. only work for me at night loaded with bee bees. little bit of a pain to do but worth it once you do. will cast much better and rattle when retrieved. Conscast like crap until you load. I like to customize these lures by drilling a small hole and adding some lead shot. This not only gives the lure extra weight for casting, but with a little fiddling you can make the lure barely float or slowly sink. 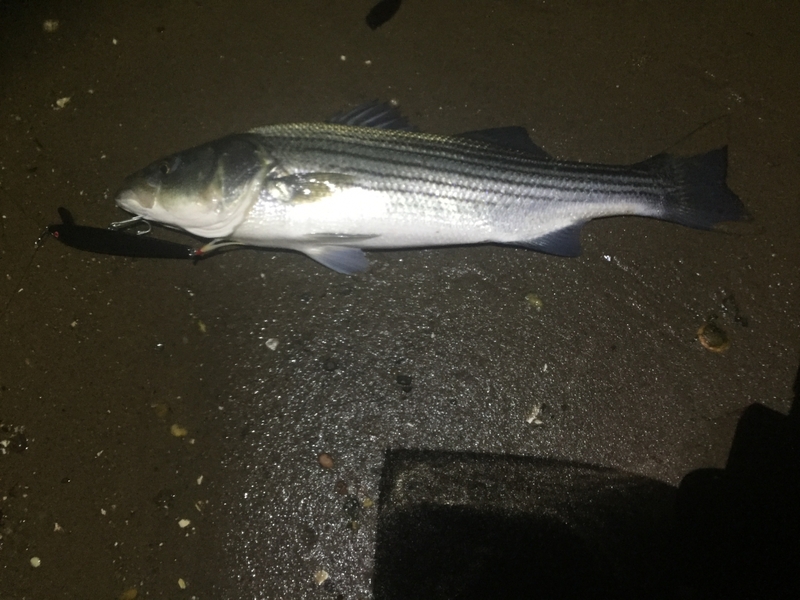 Just what I wanted for top water striper fishing. Great price.